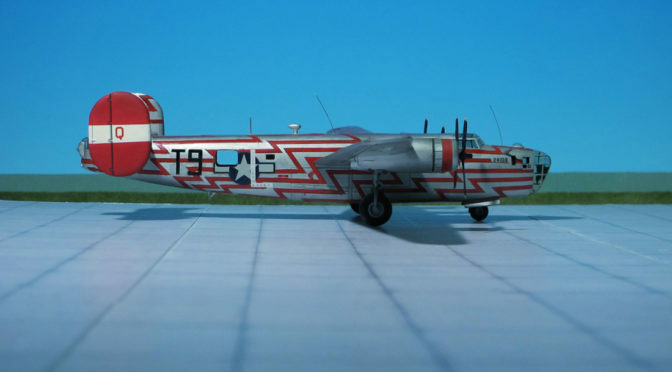 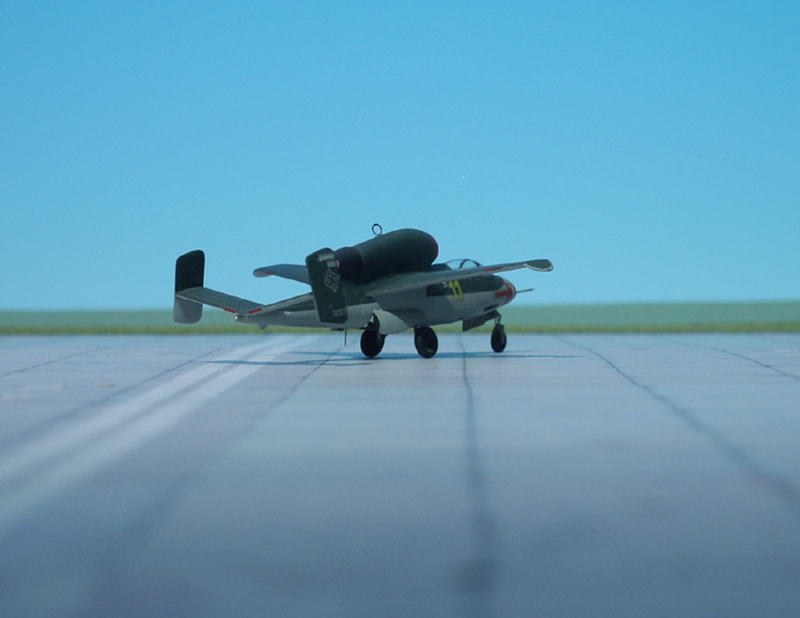 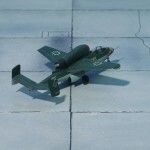 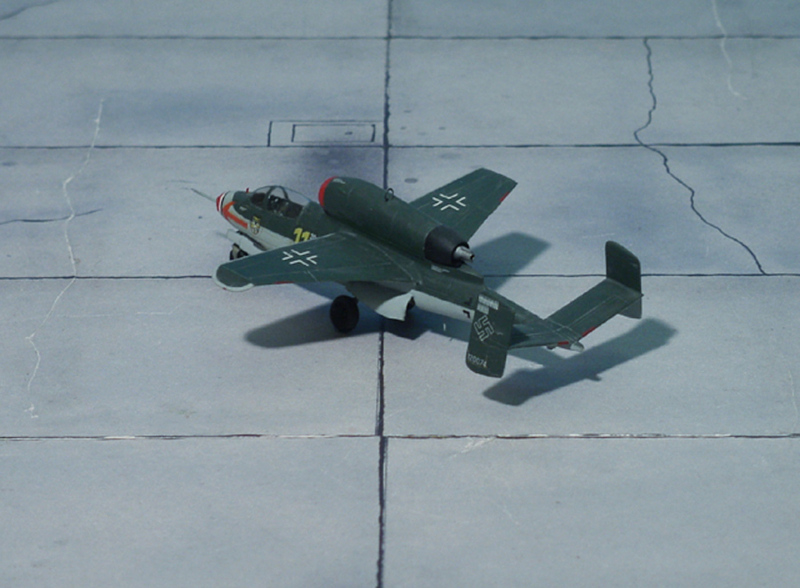 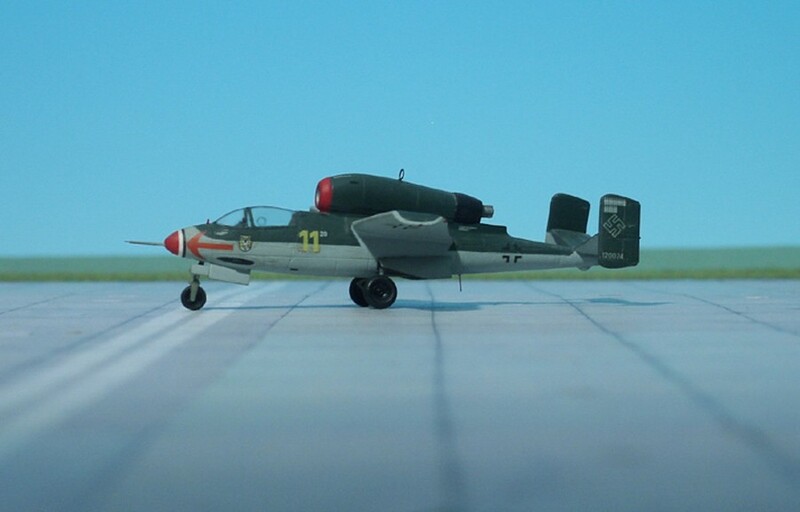 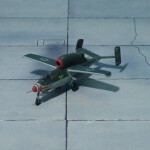 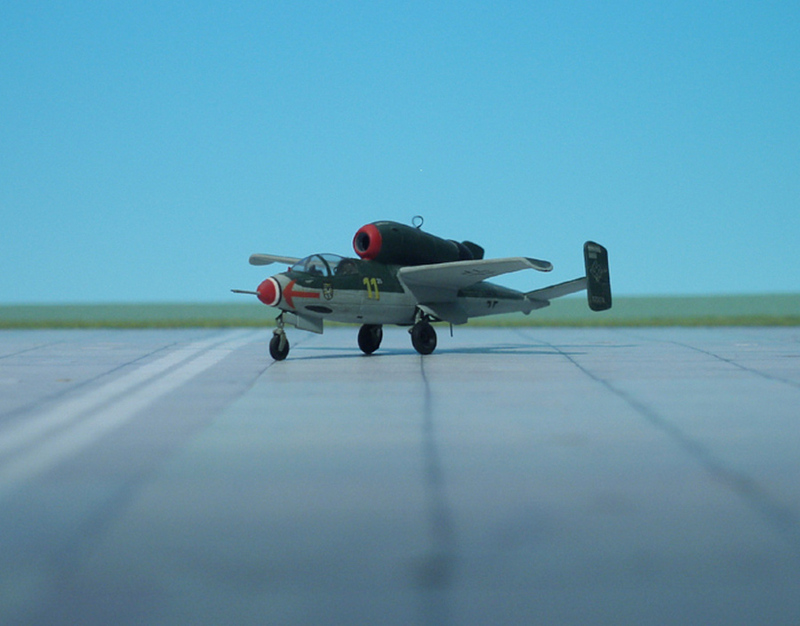 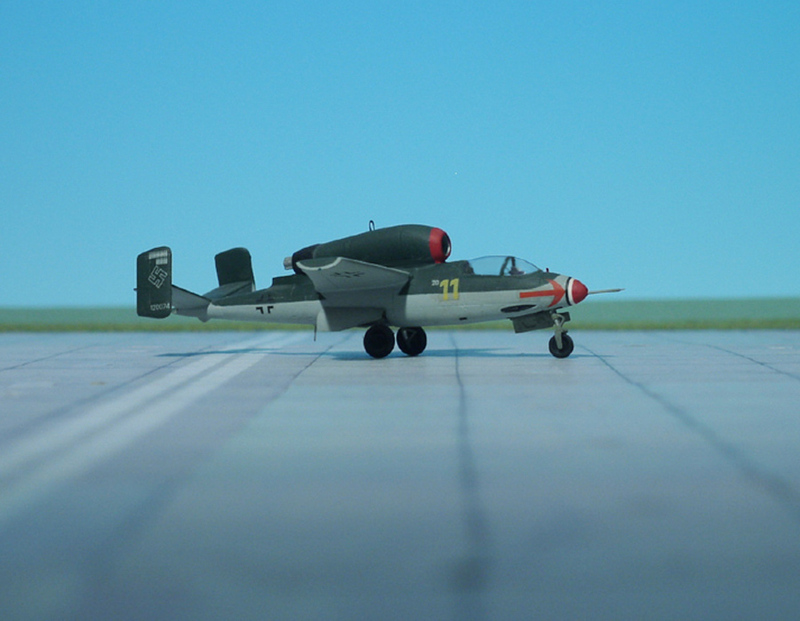 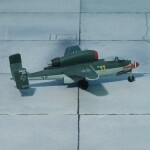 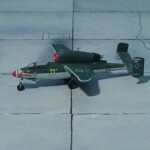 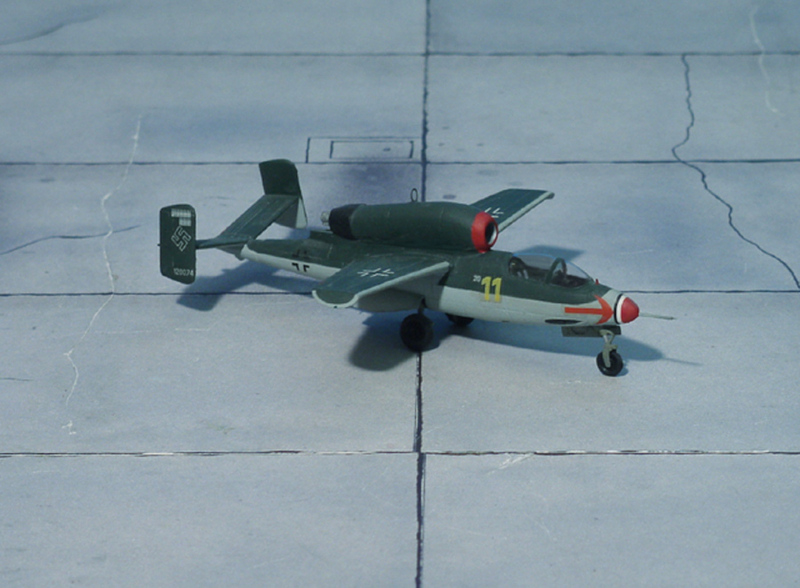 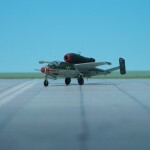 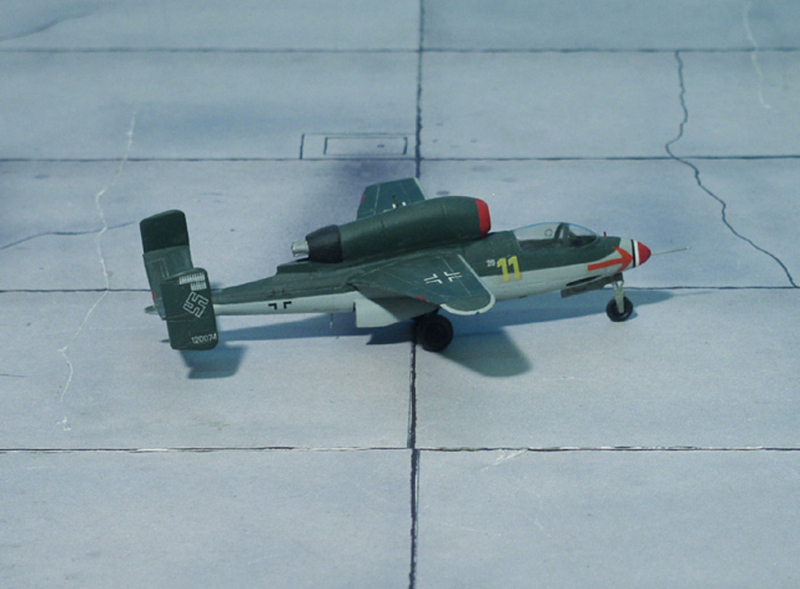 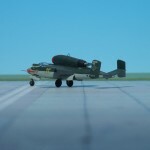 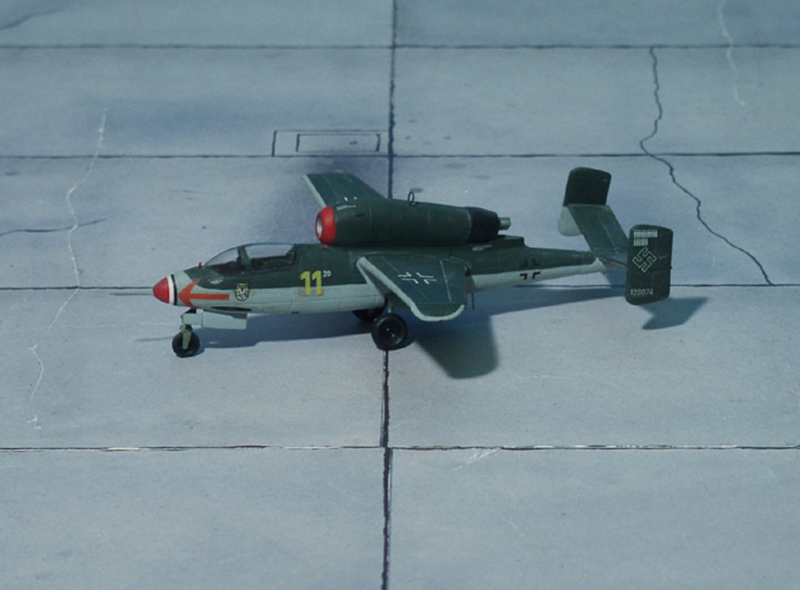 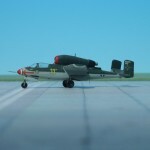 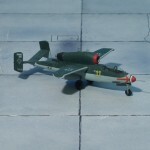 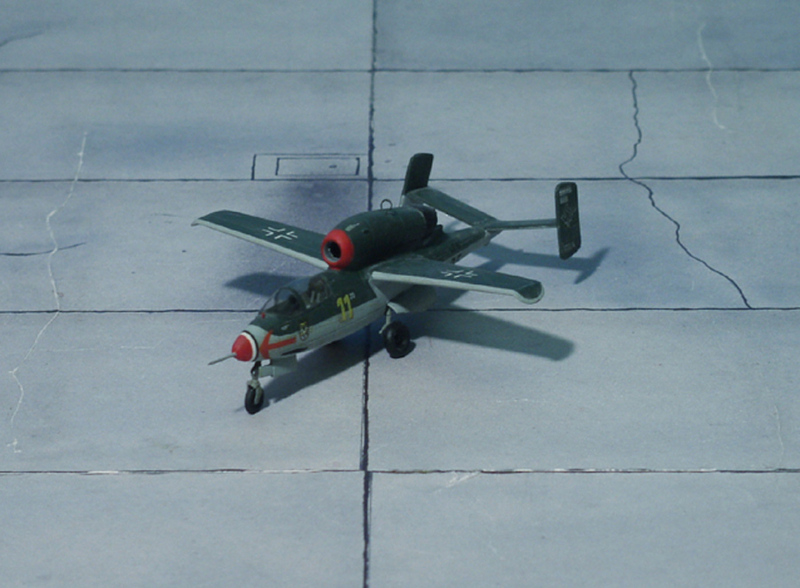 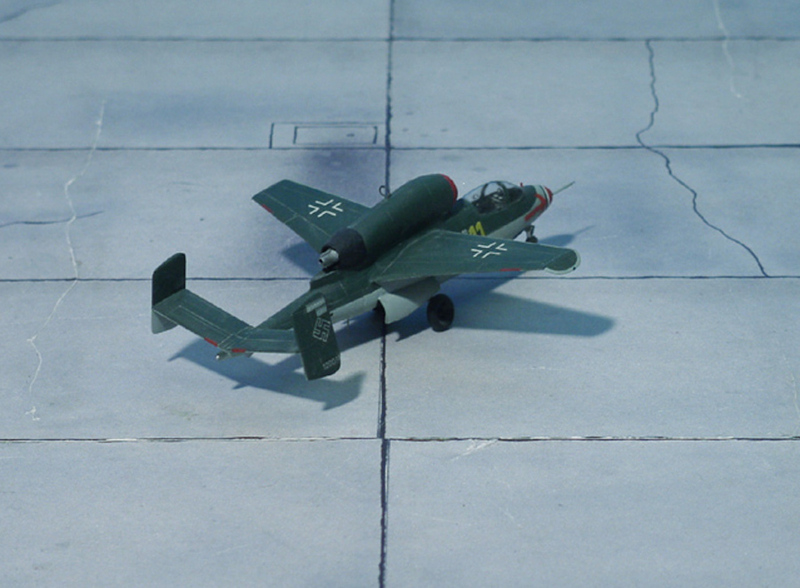 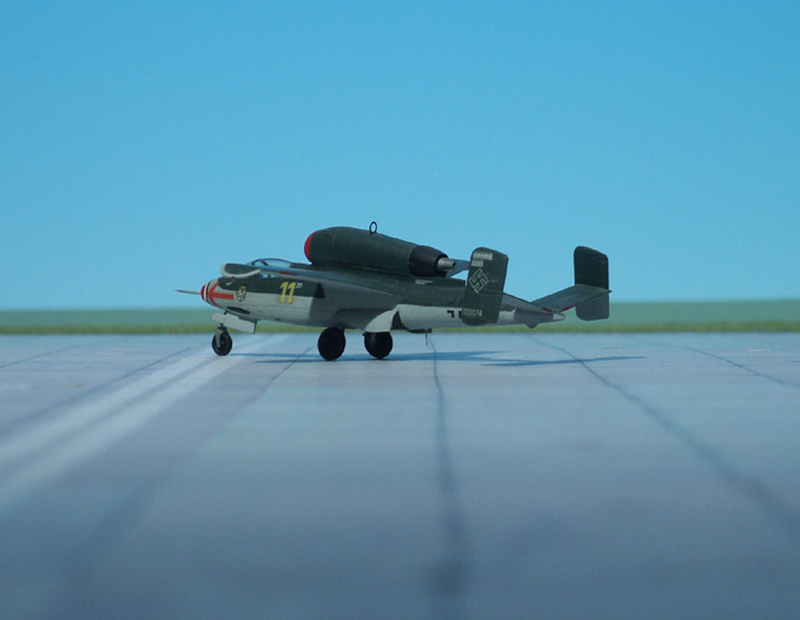 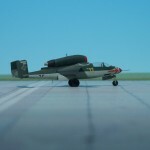 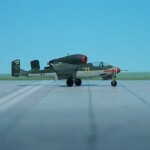 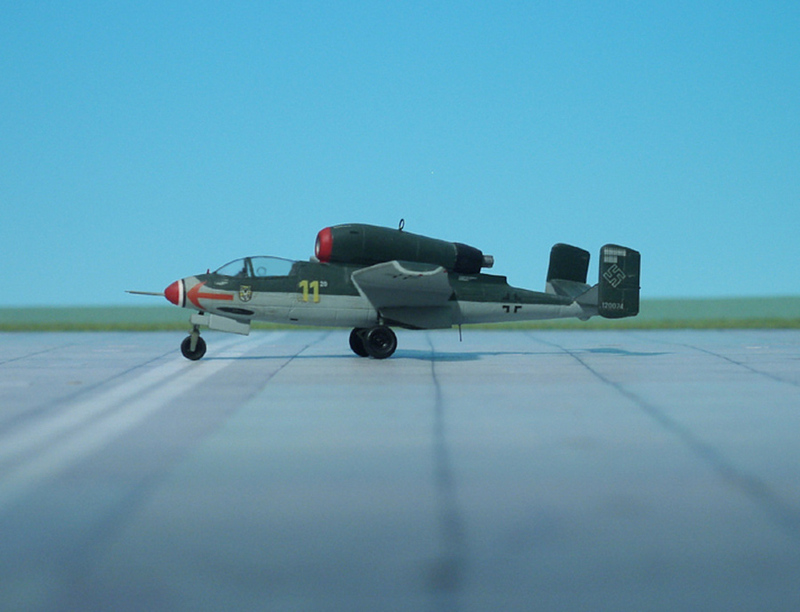 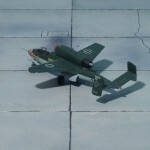 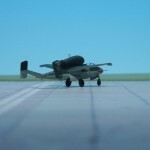 COMMENT: The so-called “Volksjäger (Peoples Fighter) project was started on September 8th, 1944 when the basic project requirements were issued by the Technisches Amt des RLM (Technical Office of the State Ministry of Aviation) and the Jägerstab (Fighter Staff) to several aircraft companies as Arado, Blohm & Voss, Fieseler, Focke-Wulf, Heinkel, Messerschmitt, and Junkers. 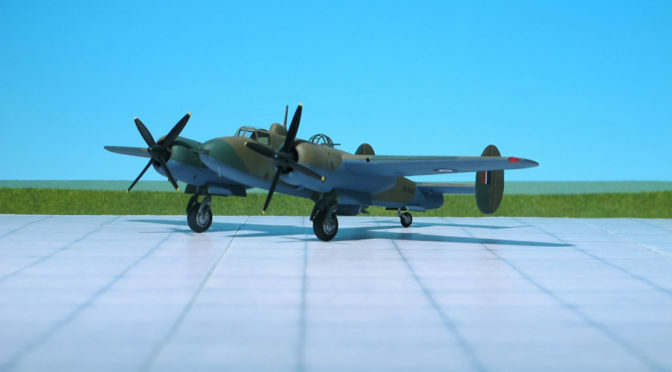 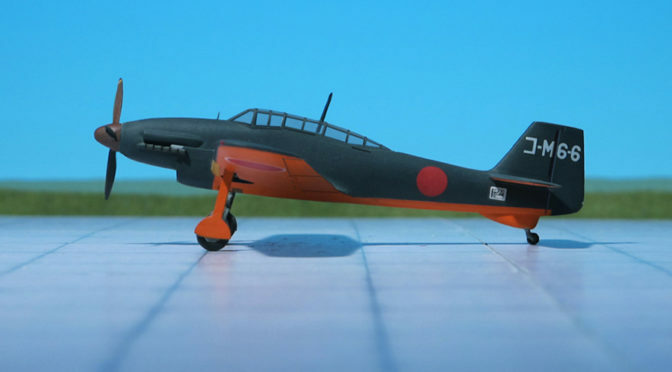 It was envisaged a simple, inexpensive fighter, suitable for quantity production from easy-available materials by semi-skilled and unskilled labour. 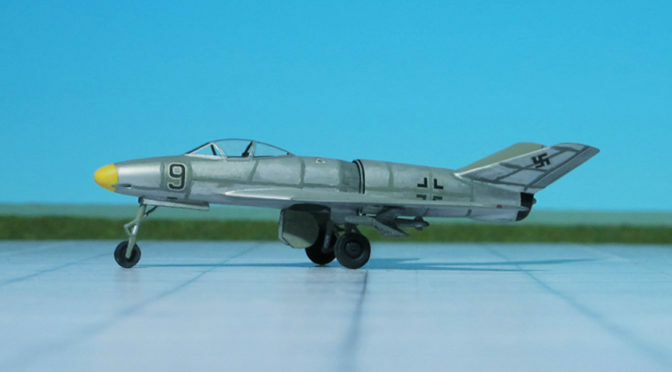 The Volksjäger was to be powered by a single BMW 003 “Sturm” (“Storm”) turbojet and had to be ready for mass production by January 1st, 1945.